The Walt Disney Company has been founded on 16 October 1923. From Yahoo! 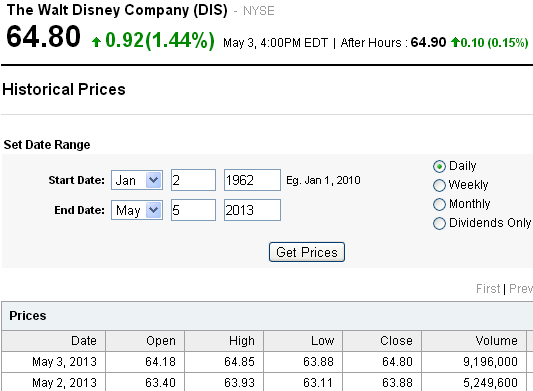 Finance you can download Disney stock data back until 2 January 1962.